Reliable and Professional Services are our hallmarks at Hot Shot Trucking. Reliable and Professional Services are the hallmarks of Hot Shot Trucking. In the oil, gas and energy industries, fast and reliable Hot Shot Trucking services are invaluable. We have a unique understanding as to the importance of hot shot services, its what we do each and every day and support this with the highest attention to accuracy, success, professionalism and on time delivery. We'd like to introduce you to HotShotTrucking.com and our Ground Expedite services which provide immense value; whether you operate alongside oil refineries, oil sands, gas wells, pipelines or plants – we can provide your hot shot trucking solutions. Hot Shot Trucking isn't just our name but it is the definition of what we do with focused logistics, professional drivers and deeply experienced staff each equipped to bring you winning hot shot trucking services that you just won't receive as consistently from any other hot shot trucking company. 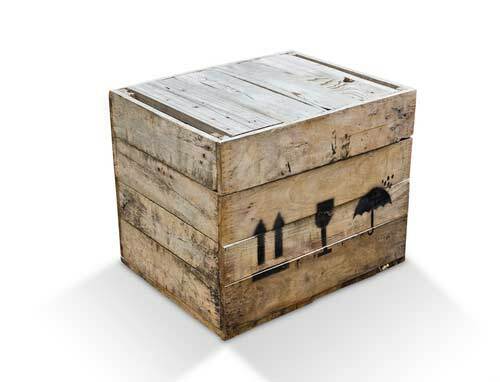 Trust your urgent freight to the best and see the benefits. No matter the size of the load, we've got the Hot Shot Trucking services and transportation options to handle it. We effectively handle wide loads, mega size loads and urgent freight such as industrial machinery and plant equipment. From hot shot loads that need to go to the next county or ones that need to cross the nation we're ready to help. HotShotTrucking.com quickly and safely transports your Hot Shot Freight to your specific destination no matter where it is according to your schedule. 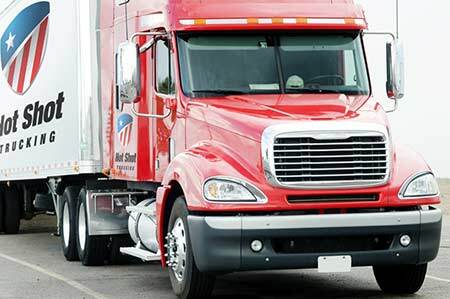 Our vast network of thousands of trained team and expedited drivers and reliable customer service experts will make sure you are always up-to-date regarding the status of your Hot Shot Freight. We'll provide the know-how and service that brings your business success via our hot shot transport solutions. Trust Hot Shot Trucking for all of your Hot Shot Freight requirements. Along with versatility, HotShotTrucking.com provides unrivaled reliability. Need freight moved before 8 AM? No problem. Our Time-Sensitive Hot Shot Trucking services will of course ensure that your freight is delivered right on time, but we'll also keep you updated every step of the way with 24/7 support and comprehensive tracking system. We're working every day with the industries where you are – whether it be energy, construction or automotive we partner with our clients each day to guarantee that their hot shot freight arrives on time and safely. We appreciate the importance of choosing the right hot shot freight provider and our blend of nationwide experience and professional dedication are enhanced by our large network of drivers and urgent freight forwarding professionals to support your business no matter where it needs to be collected from and delivered to. Hot Shot Trucking is not just the name of our company but it defines who we are and what we do – allowing us to bring the leading Hot Shot Freight services in North America to your company. HotShotTrucking.com is proud to offer nearly limitless Hot Shot Freight capabilities. We're not restricted by weight limitations and will deliver your machinery, equipment and parts across the country, state or to the other side of the country. We will pick-up, hold or deliver your freight according to your specific scheduling needs; helping you meet important deadlines and make money. So no matter your load, schedule, destination or unique needs, HotShotTrucking.com will gladly accommodate. Get started today with a quick online quote or call us at 800-713-1000. Your Hot Shot Transport Solutions are here. Hot Shot LTL Services for local, regional and national urgent freight shipping. Hot Shot Trucking takes pride in being not just the leading hot shot transport option in terms of our size, scope and resources but also in being the most flexible urgent freight solution in the marketplace. Hot Shot Loads are critical freight and as such no matter what amount of equipment, parts or machinery requires shipment we're able to accommodate your needs. We believe that part of being a leader in Hot Shot Trucking solutions includes having the resources to enable us to manage and handle Expedited Freight of any size. If you have Hot Shot loads that are less than 12,000 lbs., our Hot Shot LTL services offer a fast and effective solution – hallmarked by our commitment to reliable, effective and professional urgent delivery service. Hot Shot LTL shipments are shipped directly to their destination without being transferred, which can significantly reduce the total transit time. This also lowers the risk of damage from unnecessary handling of equipment and parts. As such LTL shipments can provide the ideal working solution for your specific needs for LTL cargo. Part of HotShotTrucking.com's versatility is our coverage across North America. Whether you need a part shipped to an oil refinery across the state or special equipment delivered halfway across the nation, we'll get it there quickly, on-time and with the level of care and professionalism that you demand. We encourage you to allow HotShotTrucking.com, to demonstrate our integrity and excellent resources for your next Hot Shot Transport requirement. We work to bring you the very best at all levels. From our 24/7 Dispatch, which will provide you with updates whenever you need them, through to our trained network of thousands of drivers throughout the continent, we work together to provide Hot Shot LTL services that you can count on and benefit from. To learn more or get a quote please call us at 800-713-1000 or complete our quick quote form and we'll contact you.